Sean Dooley seems like a well adjusted, functioning member of society but beneath the respectable veneer he harbours a dark secret. He is a hard-core birdwatcher (aka twitcher'). 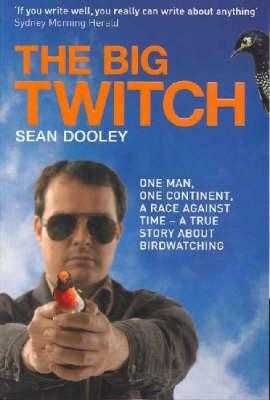 Sean takes a year off to try to break the Australian twitching record - he has to see more than 700 birds in twelve months. Travelling the length and breadth of Australia, he stops at nothing in search of this birdwatching Holy Grail, blowing his inheritance, his career prospects and any chance he has of finding a girlfriend. Part confessional, part travelogue, this is a true story about obsession. It’s about seeking the meaning of life, trying to work out what normal' is, and searching for the elusive Grey Falcon (the bird, not the car). Sean’s story of how he followed his childhood dream of becoming a national champion is both inspiring and ridiculous. Could this be the most pathetic great achievement in Australian history?